If you eat right and exercise regularly, but still feel frustrated by stubborn areas of fat, it’s easy to become discouraged. CoolSculpting™ is a body contouring treatment that can give you the shape and definition you desire without surgery or downtime. The highly trained physicians at Eterna Vein & Medical Aesthetics in Puyallup, Washington use CoolSculpting to create stunning results. To learn more, contact the office or schedule an appointment online. CoolSculpting is a noninvasive, in-office procedure that uses innovative technology to freeze unwanted fat cells, without affecting the surface of your skin. Your immune system will naturally remove the damaged cells for permanent fat reduction. Which areas can CoolSculpting treat? 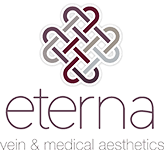 For enhanced results, Eterna Vein & Medical Aesthetics offers DualSculpting™, which doubles the area that can be treated in one session, and Smart-Wave™, which uses a high-energy radial soundwave to augment the results. It usually takes around three months to see results from your CoolSculpting procedure. After about two months, maximum results will be visible. Depending on your body contouring goals, you may need multiple treatments to reach optimal results. CoolSculpting permanently removes fat cells, so if you maintain a healthy, active lifestyle you will continue to enjoy your new physique, and areas treated with CoolSculpting may be less affected by future weight gain than other parts of your body. What should I expect during the CoolSculpting procedure? When you see one of the expert providers at Eterna Vein & Medical Aesthetics for a consultation, you’ll discuss your goals and your provider will create a treatment plan. When it’s time for your CoolSculpting session, you’ll relax on a treatment bed, and your provider will place cooling pads over the area to be treated, and then use the CoolSculpting applicator to draw fat cells toward the cooling pad to be frozen. Your session will take about an hour to complete. You’ll feel some intense cold for the first 5-10 minutes before the area becomes numb. You’ll probably feel some tugging or a mild pinching sensation. When the treatment is done, your provider removes the applicator and massages the area for a short time to help it readjust to normal temperature. After your procedure, you should be able to resume normal activities right away. You may experience some numbness, redness, swelling, bruising, or mild pain in the treated area, but these symptoms usually go away in a few hours. If you are ready to end the battle with unwanted fat and discover the shape you’ve always desired, contact the office or schedule a free consultation online.